Theresa is the Founding Director of TriYoga of Central Pennsylvania and a senior TriYoga® teacher who introduced the practice to Central Pennsylvania in 2000. She has taught yoga since 1996 in the U.S., India and Venezuela and has studied closely with TriYoga founder Kali Ray for over 20 years. Formally trained with a Master's degree in Education, she works directly with students and trains others to teach TriYoga. Her passion for TriYoga and loving presence invite others into an awareness that brings a fuller flow to life. Jill is a founding member of TriYoga of Central Pennsylvania, having been a weekly student since the first class ever taught in the area in 2000. Jill joined the teaching effort in 2006 and was a member of the board of directors when non-profit status was established. A women's-health nurse practitioner with a current emphasis on HypnoBirthing, Jill believes in a wellness approach that connects body, mind and spirit. On the mat, Jill works with a wide range of students, honoring each individual and their needs. She is certified to teach Basics through Level 2, and finds great joy in offering classes and events to support women through pregnancy and parenthood. She and her husband Scot Paterson live in East Penns Valley, where they raised their three children. Morgan Ilgen has been teaching TriYoga as a certified instructor since 2007, studying with Theresa Shay since 2004. She became a registered hatha yoga instructor through The Mount Nittany Institute of Natural Health’s Yoga Teacher Training program in April 2003. With a Master’s Degree in Education and PA teaching certification, Morgan teaches project-based curriculum full-time to middle school students. Morgan credits the practice of TriYoga with helping to guide and manage her longstanding journey with anxiety. Through compassion and awareness, she finds joy in sharing her knowledge and love of yoga flow and is particularly interested in the connection between yoga and athletics. 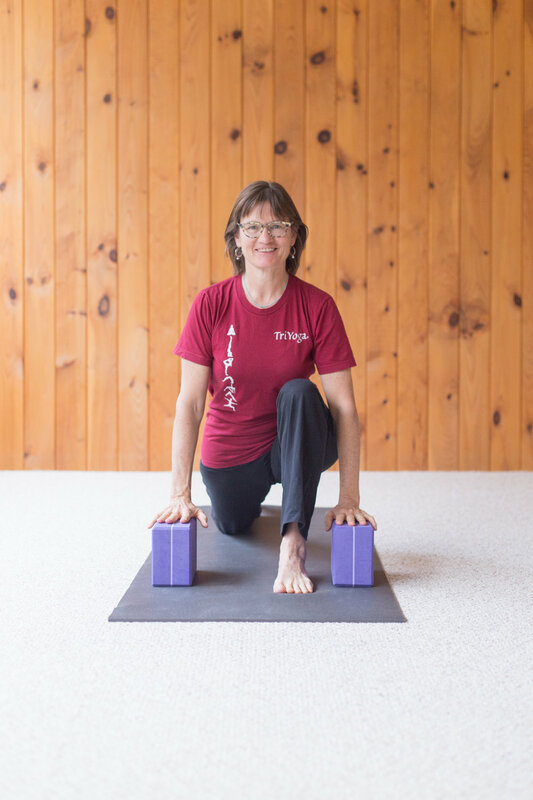 A retired educator with more than 35 years of teaching experience, Mary continues to fulfill her love for the classroom by teaching TriYoga to students and groups in Mifflin and Centre counties. Mary embodies the benefits of the practice, crediting TriYoga for the start of her new, healthier life. She is a regular presence at TriYoga Teachers Trainings in Central Pennsylvania and received her Level One certification through TriYoga Santa Cruz. When she isn’t teaching or studying TriYoga, you can find her connecting with her family, decorating the studios or keeping TYCP flowing in her role as Assistant to the Director.